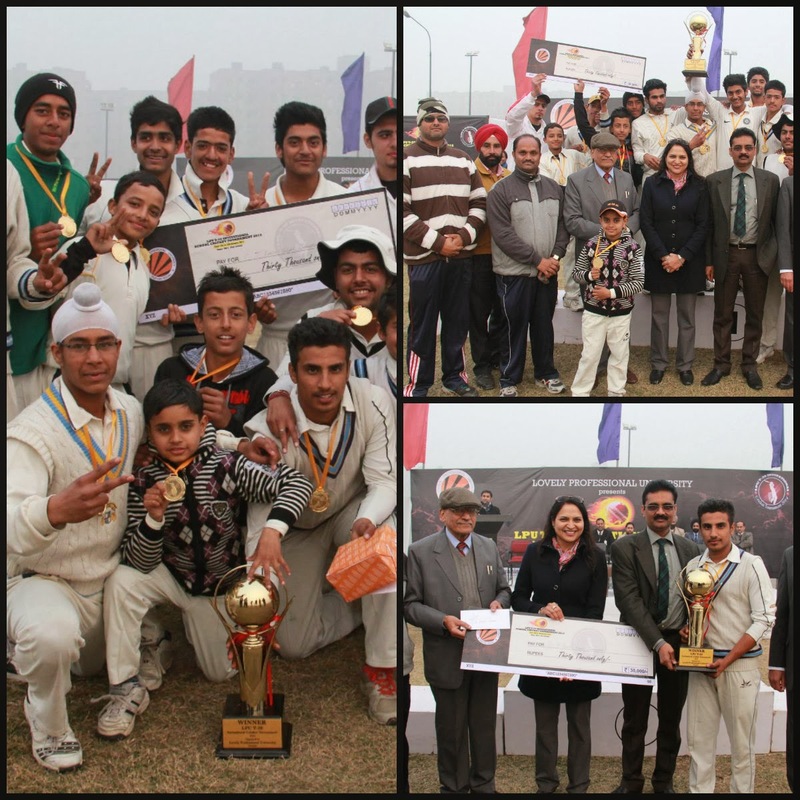 Jalandhar: Final matches for LPU T-20 Invitational School Cricket Tournament 2014 were played today at Sports Stadium of host Lovely Professional University. CT public school Jalandhar lifted Overall Trophy, whereas MCA, Mohali remained 1st runners up and Guru Harkishan public school Hoshiarpur 2nd runners up. Jasbir Singh from CT public school was declared ‘Man of the Series’; whereas, Chirag, Akshit & Ashish stood man of the final and two semi final matches. LPU Chancellor Mr Ashok Mittal awarded these winner-schools with cash prizes of Rs 30,000, Rs 20,000 and Rs 10,000 respectively, and also honoured the best players with trophies. Congratulating the winner team and encouraging all other players, Chancellor Mr Mittal informed: “Seeing the overwhelming response from top schools of the state, we want to enhance the stature of this ‘Tournament’. Our university sports experts will continue promoting cricket and other favourite games of the youth from the very initial stages. It is going to help not only our state but our country also, as the best of the hidden talents will automatically come forward to further strengthen the sports anvil of the country."